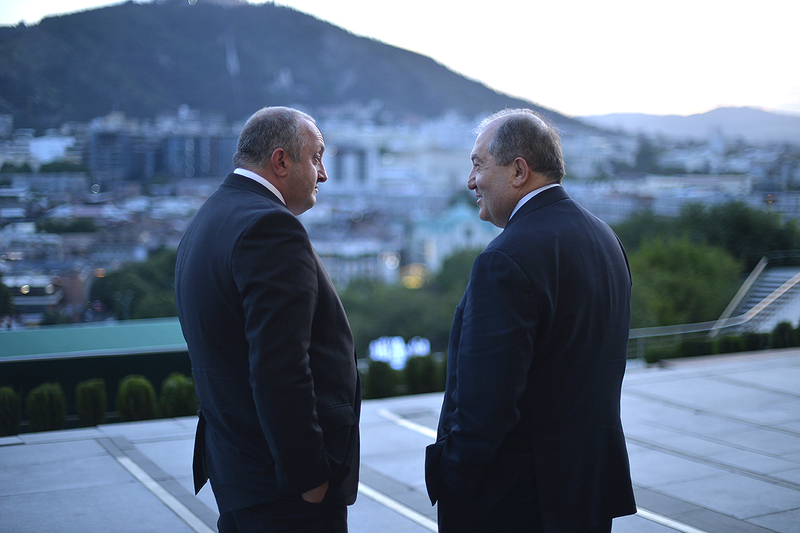 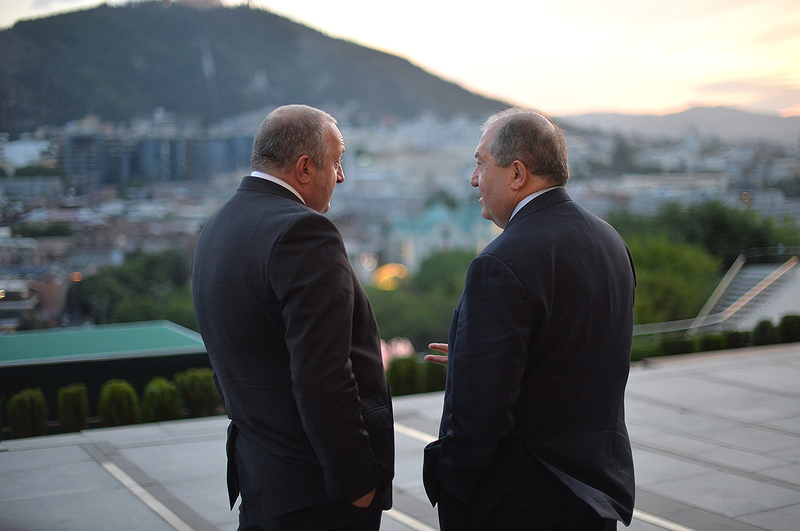 President Armen Sarkissian, who has arrived to Tbilisi at the invitation of the Georgian President, met today with President Giorgi Margvelashvili. 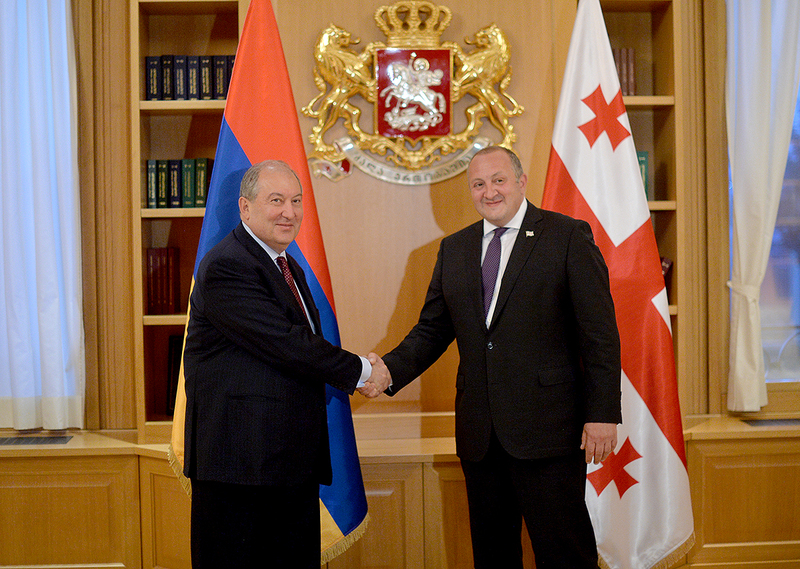 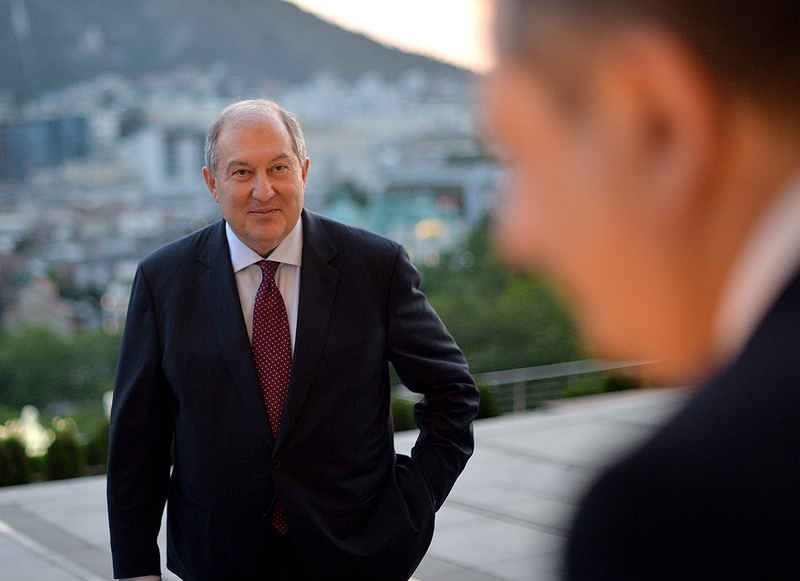 Armen Sarkissian thanked the President of Georgia for the invitation to take part at the celebrations dedicated to the 100th anniversary of the restoration of the Georgian Statehood and the warm welcome. 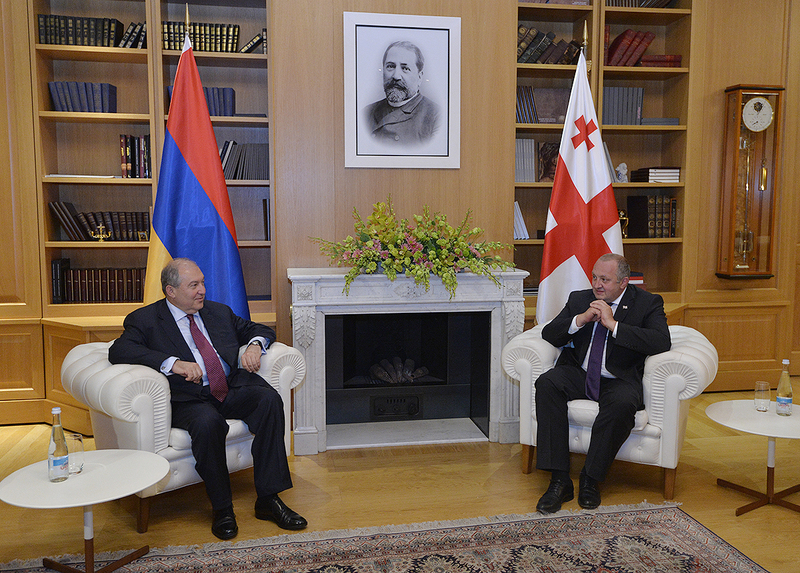 He said that in a few days Armenia will be celebrating the centennial of the First Republic. 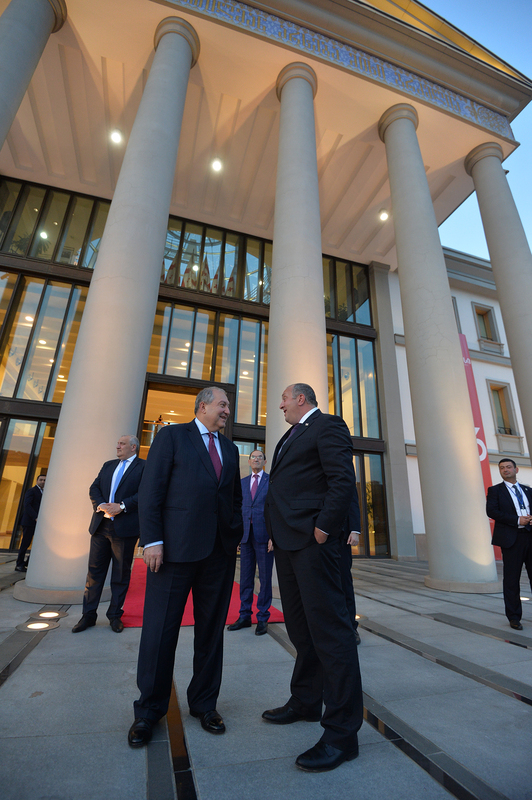 According to the President, these historic for the two nations anniversaries are based on the idea of freedom which remains a guiding principle today as well. 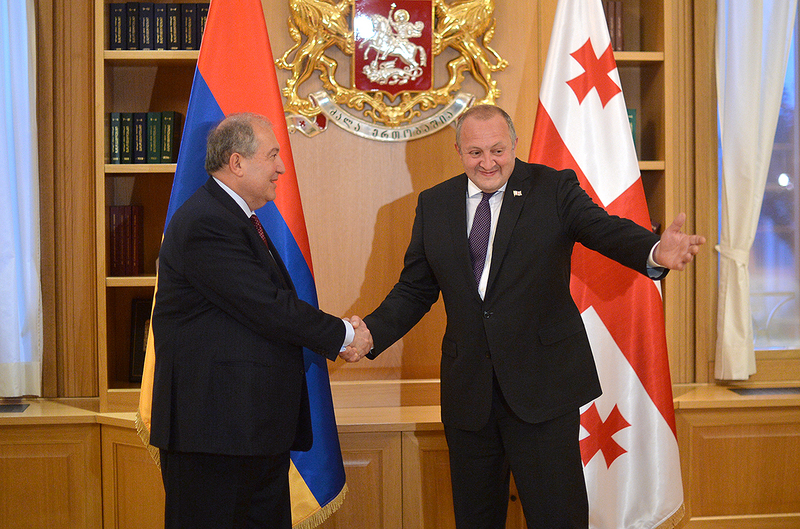 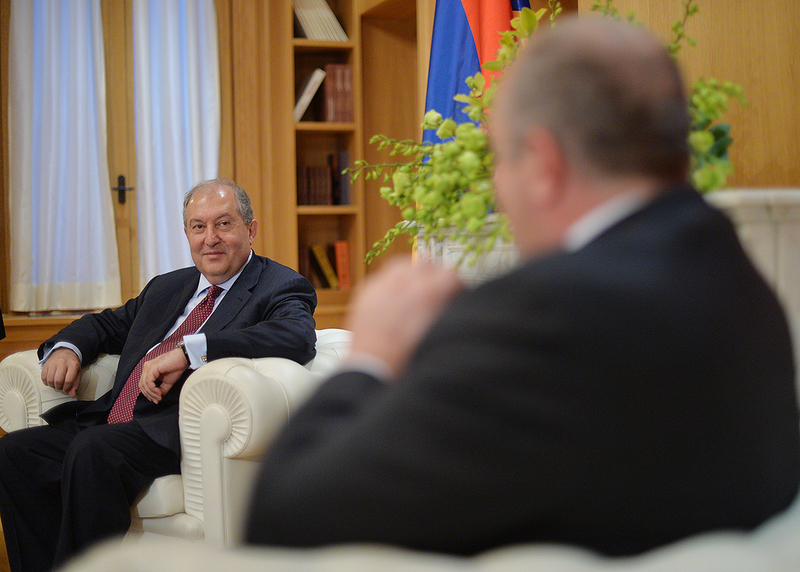 President Sarkissian assessed the Armenian-Georgian bilateral relations as good-neighborly which continue to develop dynamically in the atmosphere of trust. 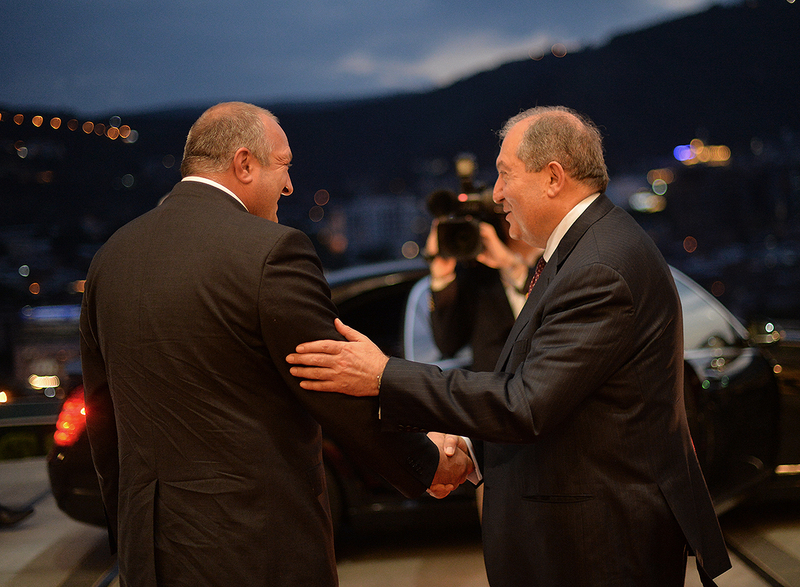 “The active interstate dialogue, which is anchored in the traditional friendship and historically mutual understanding between our peoples, creates solid prerequisite for identifying new directions of cooperation,” President Armen Sarkissian said. 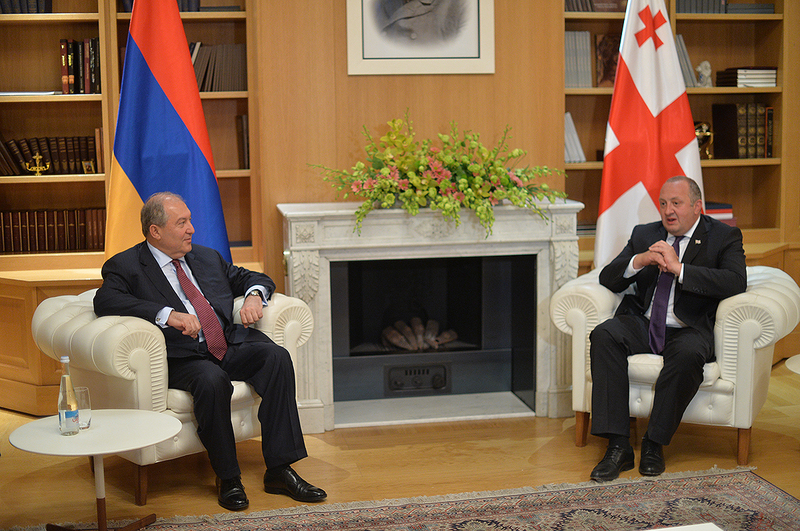 The two Presidents spoke also about the recent changes in Armenia and prospects for the development of the Armenian-Georgian relations. 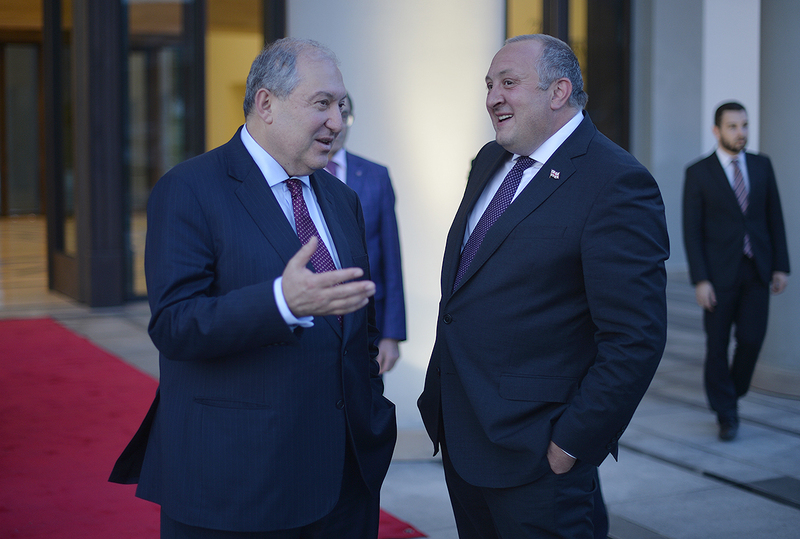 They expressed confidence that through joint efforts the parties will be able not only to preserve current achievements but also to boost the mutually beneficial cooperation, elevating it to a qualitatively new level. 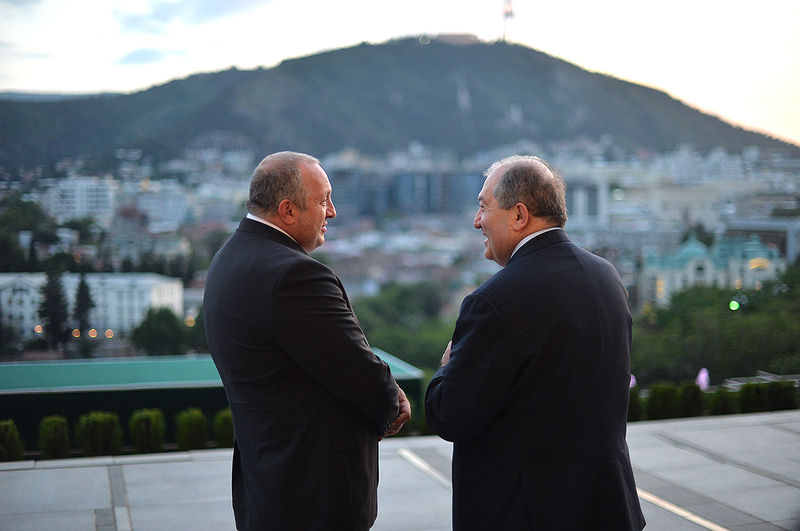 During the warm and candid conversation, the President of Armenia invited his Georgian colleague to conduct a visit to Armenia.